London Bathhouse Musical Returns To The UK. 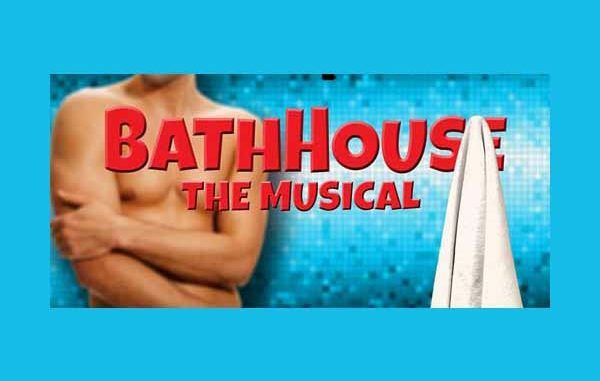 Bathhouse The Musical has returned to London at the Above The Stag theater. This is a return engagement for Above The Stage, as this musical first played there in 2009. Back then it was fresh from its US debut. Five years later it still seems quite topical and alive. The wardrobe of only towels worn is quite appropriate, given it is summer and quite steamy. But it is also the start of LGBT Pride in London, and it has bolstered interest in the musical. Tickets sold out so fast, that the run has been extended an additional 3 weeks. So if you are in London, you have until August 9th to catch this show. So don’t delay, and get your tickets now. If not you might miss the theater event of the year! From the looks of things, it seems like a great comedic program. I’m sure those who have gone have had a great time in the theater. I know from those I’ve heard from generally enjoyed themselves and had a good time.